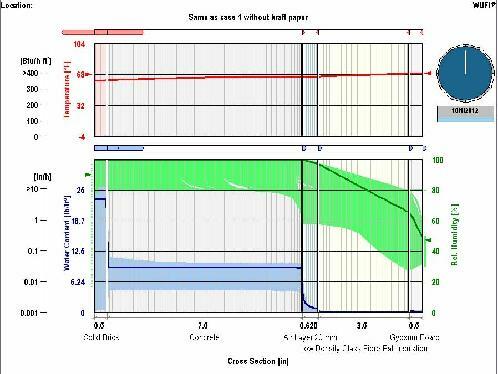 This example shows the summarized results of a tilt-up precast concrete building wall with (top illustration) and without (bottom illustration) a kraft paper vapor retarder beneath the GWB on the inside. 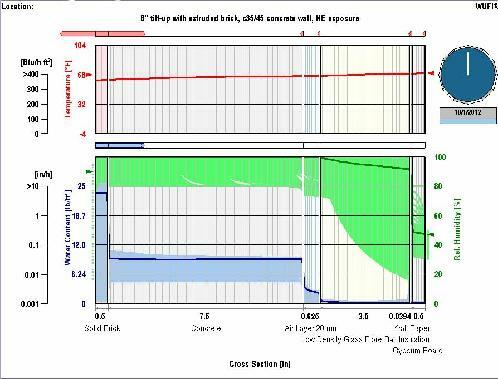 The blue at the bottom of each graph shows the accumulation of water in the wall. In this case the vapor barrier should not be used because of warm weather moisture collection outside of the vapor retarder.